TERRE HAUTE, Ind. 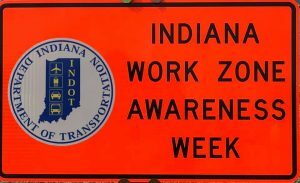 – April 8th – 12th is National Work Zone Awareness week. 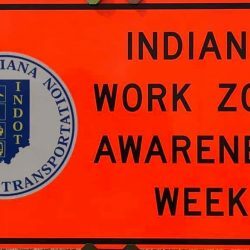 The Indiana Department of Transportation reminds you with construction season now fully underway you are asked to slow down to help protect their workers. In 2018, 15 people in Indiana died from distracted or reckless driving in construction zones. All workers want to get home to their families safely. Remember fines are much higher in construction zones, so slow down, pay attention and help to save a life.